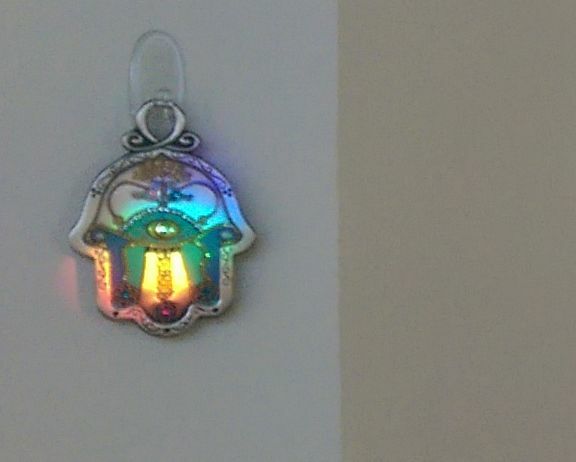 I love the way the rainbow light “landed on” the Hamsa! Lovely! Having been born in Hawaii, I miss the warmth and light of the sun. Here in the Seattle area gray, rainy days are the norm. Turning on lights throughout the house helps brighten my spirits. Not a substitute for the sun, but it’ll do. Yes, I have a daylight lamp in my living room to brighten up gray mornings. It does help.